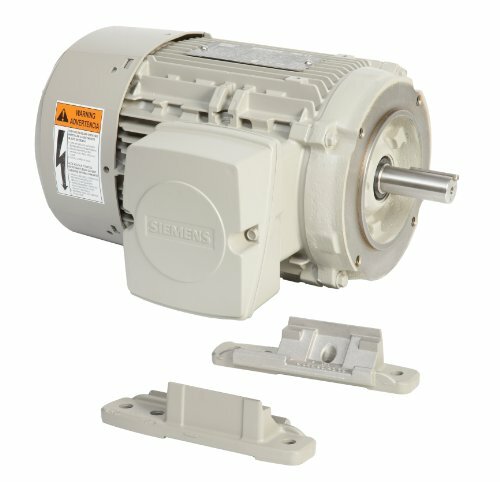 The line of Siemens aluminum frame motors is an evolution in motor design. Specially designed bolt-on mounting feet permit F1, F2 and F3 mounting flexibility without the need to disassemble the motor. The cast aluminum frame weighs less than comparable rolled-steel frame motor designs, yet provide more structural strength for a wider variety of industrial applications. Siemens aluminum frame motors feature a proprietary, inverter-rated, Class F insulation system with a Class B temperature rise at 1.0 service factor. This insulation system meets or exceeds NEMA MG1, Part 30 and 31 for adjustable sped drive operation.